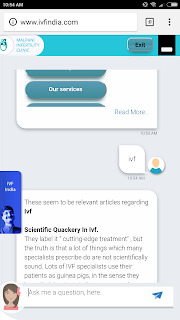 Dr.Malpani's Blog: World's first infertility Chatbot ! We have created the world's first infertility chatbot, to help infertile patients learn more about their problem. Naima is an intelligent digital medical assistant, who will help you find what you need to know !